There’s an old saying: Don’t mix business and friendship. But, does that always hold true? Do good friends always make bad employees? Joseph Jackson, Founder and Managing Partner of the Resource Squad weighs in. 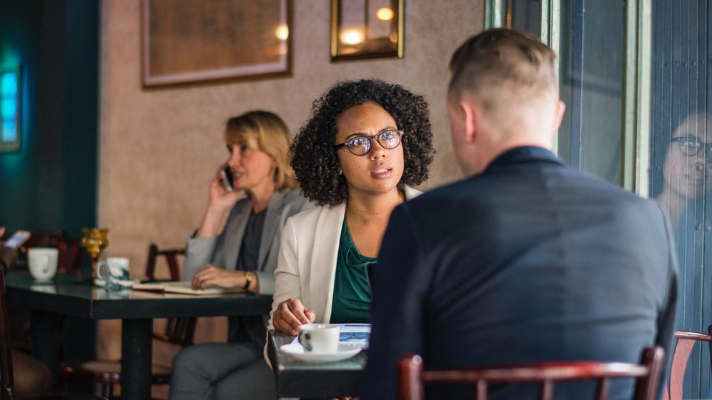 “While we all want to help out our friends, it’s important that we know their work styles before we talk about engaging them as employees,” Jackson advised. Friends who originated through college or previous work situations may be a good bet since you know how they perform in the workplace. “It’s important,” Jackson suggested, “to have a very detailed conversation where expectations are outlined and boundaries are established.” Friends-turned-employees need to understand the policies, the goals, and the consequences of misbehavior, Jackson said. Before settling into a long-term employment contract, Jackson advises a trial period with pre-determined bench marks so the employer and employee can test the relationship in the work environment. “Mutually agree upon what might be achieved in that probationary time period and set up regular opportunities to discuss progress,” Jackson said. In work environments, it’s vital that friends are treated the same as other employees. “Avoid having special meetings and events without including the full team,” said Jackson. “Lunches or sidebar discussions give the impression of preferential treatment,” he added. In all relationships, success comes down to clear communication, Jackson counseled. “None of us can thrive in a relationship if we don’t understand expectations and aren’t able to talk through missteps,” he added. Hiring friends doesn’t always have to end badly. In the end, friends may turn out to be some of the most loyal and productive employees. If you need help writing an employment agreement to help ensure a successful workplace relationship, please reach out to Jackson and The Resource Squad.